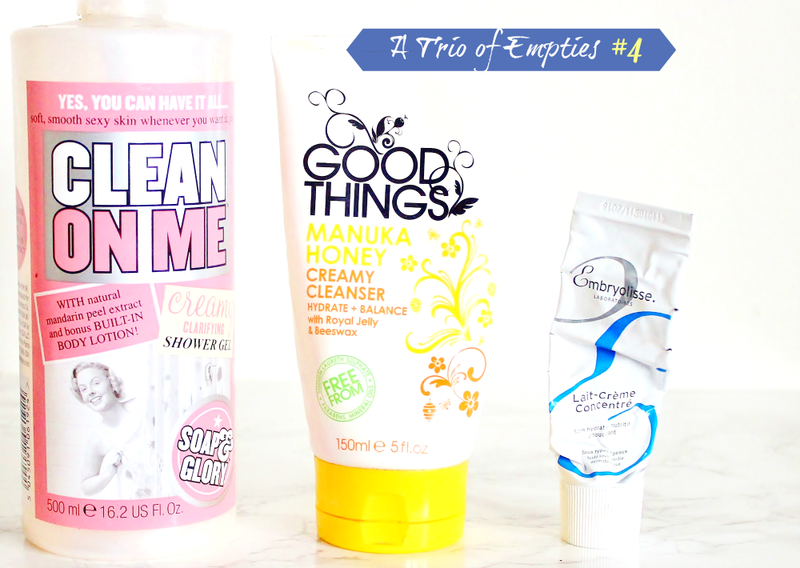 Hello everyone, welcome to the fourth and final trio of empties post, of 2015! 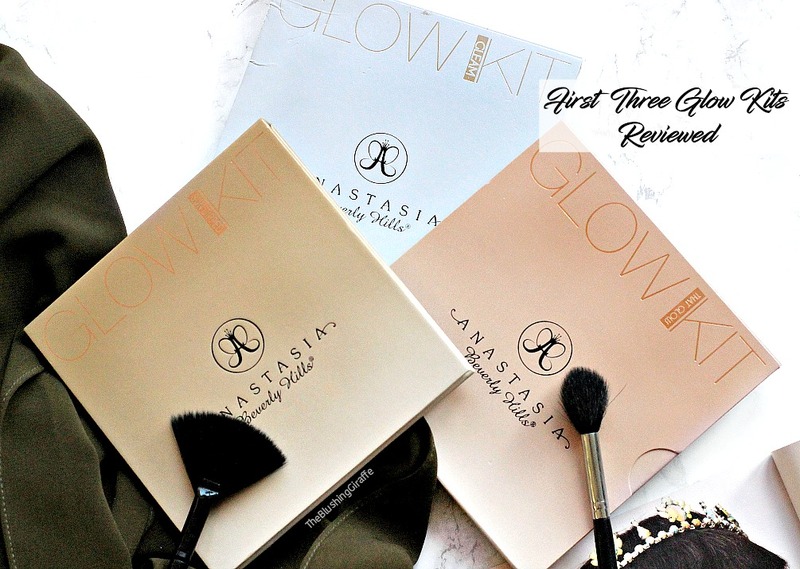 If you’ve read any of my previous posts, you’ll know that I am notoriously slow at finishing up products which is a big reason why I am on this no makeup buying challenge! I have so many things that are in rotation which means it takes months before one of these posts get written up. (Also I do sometimes forget and chuck stuff away, it’s a habit!). Since starting the challenge I have been using stuff up a lot more, its been 75 days since I’ve not bought makeup (well aside from the NARS One shocking moment palette - but that was in my own terms and conditions hehe) and I hope there’s going to be one of these posts once a month from now on, because although buying new makeup/skincare is always fun - using it up feels so just that little bit better! ^_^ Anyways lets get on with the post. I’m not sure why I’ve never spoken about this particular creamy shower gel before because this is probably my fourth bottle of the stuff. I think this is the original soap and glory scent and I am a huge fan! It is sweet yet not sickly and I love how it lathers up just the right amount. This is one of my perfect evening shower washes and to be honest I am reluctant to try other brands because not only do S&G products smell divine, they really moisturise my skin well. That’s not to say that I don’t like to top up my body moisturiser after the shower, however I have noticed a real difference in my skin after using another shower gel, compared to this stuff. Plus I really like how affordable they are, I always pick them up when boots have 3for2 offers on and in one bottle there is 500ml, so it works out really reasonably. The only thing I would change if it could, is to make the pump larger so a little more product comes out - not a biggie though! My ALL TIME FAVOURITE CLEANSER! So good that I’ve given it the HG status! Surprisingly this stuff lasted a very long time and I already have a back up that I’m going to be opening soon. It contains manuka honey and royal jelly, two ingredients which are often found in much more expensive products because they work a treat on the skin! I love its luxurious creamy texture and the scent is delightful in the evenings, especially when it’s been a long day! I use this as my second cleanser after I’ve removed my makeup with a cleansing oil and it not only removes the last traces of makeup and oil from my skin, it also nourishes my skin and leaves it feeling beautifully soft. I’m not really sure what category my skin sits in now, combination I suppose? As it does tend to feel stripped and tight with most cleansers, but I never have that feeling when I use this stuff. I used to use this with a flannel, but recently I haven’t been bothering because firstly the upkeep of having clean flannels almost everyday was getting too much and secondly I find it easy enough to remove from the skin without one! Seriously one of my favourite discoveries of 2015 and as it works so well for me (much better than Liz Earle’s C&P!) I’ll probably always have at least one in my skincare stash! One of the most hyped up moisturisers on the market, it was safe to say I was mighty excited to try this stuff out and I LOVE it! I can completely understand why so many people rave about this and why its the go-to base for many MUAs on their clients. The embryolisse creme concentre is a very emollient nourishing moisturiser, however it isn’t too heavy on the skin which is what makes it so special. A little goes a long way yet my skin feels brilliant with such little effort. I have used this every single time that I have worn makeup because my skin adores the texture and the moisturising properties. It sinks into the skin with ease and preps it for makeup in a way that no other moisturiser has done. This is because it has three uses: a moisturiser, a primer and a makeup remover. I’ll often use this as a moisturiser and a primer and my makeup really has never looked better. Honestly this stuff is such a game changer and for my dehydrated skin it’s everything I could ask for! I won’t wear it on no-makeup days though as it’s not the cheapest - but worth every single penny! Repurchase: I already have purchased the larger size! Everytime I see this on sale I’m going to stock up for sure. This is by far my most positive empties post and I’m so chuffed with all of these products! Have you tried any of them? What are your thoughts?